Henderson House has 5 single and 11 double rooms. Room selection runs on a seniority rule. Credit for seniority includes completed semesters of residence plus the current semester (Fall and Winter terms each count as a semester, and Spring and Summer terms each count as a half semester). Those who have lived the most semesters in the house have the first choice of rooms. If two women decide to share a room, the one with higher seniority will be the determinant for the room assignment. The names of all residents with equal seniority (i.e., an equal number of terms) are put into a random drawing to determine the order of the room selection. Residents who wish to re-sign their contract (keeping their current room) for the following year may do so without entering the drawing if they have lived in their room for more than one full semester. Room openings that occur in the summer or mid-term will be managed by professional staff in University Housing. 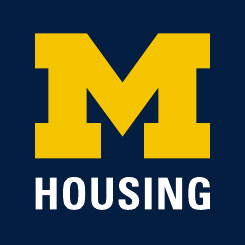 At the start of the year, and when a new student moves into the building at other times, the RD will offer a Roommate Agreement Form that assists roommates in identifying agreements as to how they will share the living space.